For 2017 the e-Golf debuts with a whole new look, and with plenty of new technology putting power to the wheels, things are only getting more exciting for this all-electric hatchback. 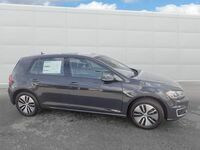 When they become available, you will be able to test drive a 2017 Volkswagen e-Golf in Walnut Creek, CA at Dirito Brothers Walnut Creek Volkswagen. This is an exciting car and an exciting time for the world of automotive technology. 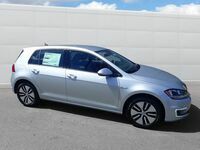 You can read about all the changes to the 2017 e-Golf including the range increase that you have been dying to learn about by reading the rest of this page. 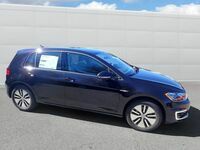 If you can’t wait and you want to view our Walnut Creek inventory now, then click the link below and see the huge all-electric selection that we have for you here at Dirito Brothers Walnut Creek Volkswagen. Volkswagen is making a lot of changes to the latest e-Golf. 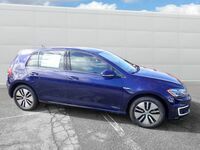 The e-Golf marks the debut of a bold new look for Golf models, but as you can see in the chart above, the exterior isn’t the only thing that is seeing changes. Perhaps the most exciting thing is the new 35.8 kWh battery, which is expected to provide 124 miles of range. These changes also give the horsepower and torque a significant boost, and with the inclusion of the 7.2 kW charger as a standard feature, getting your charge will be easier than ever before. 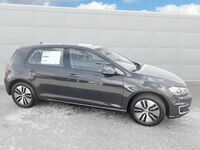 The new Front Assist with Pedestrian Monitoring is another big addition to the e-Golf lineup. This high tech feature will warn the driver acoustically and visually while also priming the brakes if a pedestrian is detected in harm’s way. If the driver still doesn’t react, then the system will go so far as to apply the brakes automatically. Now that’s impressive. If you have never considered an all-electric car before, then this could just be the perfect car for you. Not only does it come from an iconic brand like VW, but it also has the range you want. With thousands of available charging stations all across the United States, you will not have a problem getting the charge you need. 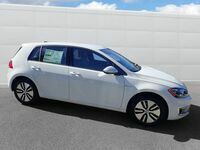 Come to Dirito Brothers Walnut Creek Volkswagen today, and let us tell you more about this impressive all-electric machine.